Trying to decide which product to sell in your online dropship retail store can be confusing, especially with such a wide range and categories of products to choose from. But not being to make a wise product choice could mean bad for your business. Identify products with “large market demand”. The first important step is to recognize the “hot items” or products that are greatly in demand. There are many ways to do your research. One is to check out online shops to find out which items are included in most customers’ wish lists. Auction sites like eBay are also a good place to explore. You can also visit forums and social sites to see what people are talking about. Another strategy is to use Keyword Search Tools to find out what specific items or products people want when they search the internet. Do a self-check. Which products have you recently bought online and why did you prefer to make an online purchase? Which products do you plan to purchase online in the coming months or weeks? Ask the people you know. You can also conduct a survey within your family, relatives and friends. What products have the bought or are they planning to purchase from the internet? Identify your niche market. Have you identified your niche market already? Niche marketing is recommended particularly for new businesses because it gives you the chance to establish a name in the market without too many competitors. It is interesting to note that people usually shop online to buy unique items or ones that are not found from their local store. If you can offer the market something unique and greatly in demand, then you are ready for the next step. Consider feasibility. Don’t forget to conduct your own feasibility studies. Can you find a Wholesale Supplier who is willing to dropship that product? How much do you think can you mark up from the wholesale price? Can buyers afford the retail price? Can you make decent profit out of it, taking into account all your costs? 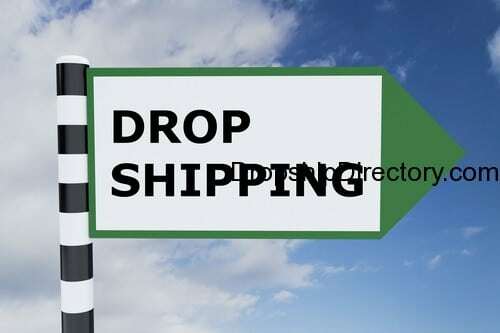 Find a legitimate Dropship Supplier. Once you have chosen the right product, you must find a legitimate and trusted Wholesale Dropshipper to partner with. Bear in mind that there are many scammers who pretend to be wholesalers on the web. One essential point to remember is that genuine wholesale suppliers will never deal with merchants who are not licensed or do not have a Business Tax ID Number. If a certain “wholesaler” offers to do business with you without requiring your business permit and tax information, watch out! You could be dealing with a middleman scammer! You should also never be required to submit an upfront payment unless you already made a sale of the product from your online store. I often fill my shopping cart wishlist with things that I want to buy, hoping that somehow the online shop owner will put the items on sale.